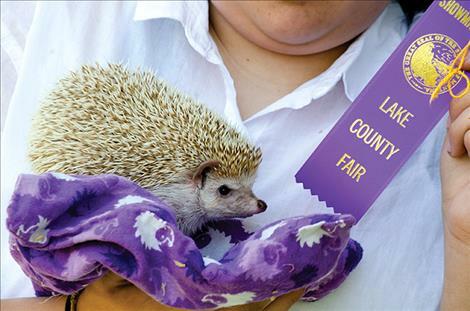 Ashlee Peterson, 13, received a purple ribbon in the 4H pocket pet division with her hedgehog on Monday. 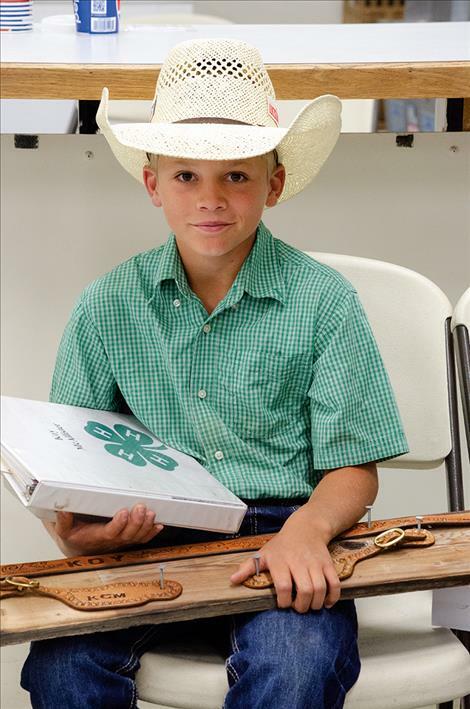 Koy McAllister, 11, waits to share his leather work with a judge on Monday. RONAN – The Lake County Fair interview judging was held on Monday at the fair grounds with many projects including pocket pets, leather crafts, photography, and woodworking. On Wednesday, July 25, events start at 8:30 a.m. The fair schedule with a list of events can be found at www.lakemt.gov., under the section directory. Livestock barns will be open to the public from 9 a.m. to 8 p.m., Wednesday to Saturday.